Last month, my husband and I traveled to Carmel Valley and Carmel-by-the-Sea for a little get away. With the busy holiday season approaching, we were looking forward to spending a little time unwinding. 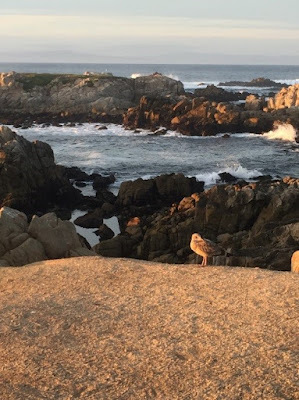 We were fortunate enough to be guests at the Hofsas House overlooking the quaint seaside village of Carmel-by-the Sea, which is located in Monterey County, California. What makes this place so quaint? There are no street addresses and everyone goes to the post office each day to get their mail. There are no large shopping centers and no big box chains. There are also no large chain coffee shops. The people that live there don’t seem to mind and neither did we. 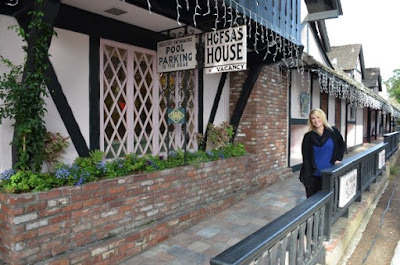 Before I tell you more about Carmel-by-the-Sea, let me tell you a little more about Hofsas House. Hofsas House has been welcoming visitors to its European inspired boutique-style hotel for over 60 years and with its charm, comfortable rooms, and personal service (we received a tasty chardonnay and a cheese plate upon our arrival), I can see why this place remains one of the little gems in this beautiful seaside town. In addition, the hotel is also dog friendly, so you can bring your pooch along if you want him or her to explore Carmel with you. 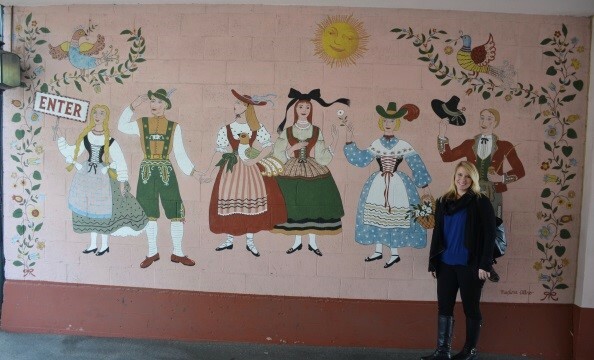 The hotel features many special touches including the Bavarian-themed welcome mural that is truly one of a kind. Hofsas House is family run and the owner, Carrie, is an incredible resource for helping you plan your days while you are in town. The rooms at Hofsas House are larger than most hotels and ours even had a fireplace, which we fired up each night since it can get pretty chilly in the evenings. The hotel has 38 rooms, many of them offering ocean views, which is definitely a plus. We enjoyed sipping wine and nibbling on cheese while we took in the gorgeous scenery on the patio. Not only is this hotel perfect for unwinding and relaxing, but it is in the ideal location for enjoying Carmel-by-the Sea to the fullest. There is so much to do within walking distance including wine tasting, wonderful restaurants and adorable shops where you can find unique and special finds. We packed so much into the two days we were there, but we could have easily spent another day or two exploring. The hotel is just minutes away from Monterey (I hear that the aquarium is a must see) as well as Pebble Beach, Big Sur and Pacific Grove. While the hotel was perfect for the two of us, it is also a great destination for family reunions, business meetings or even small wedding receptions. The hotel includes meeting space, which is located poolside, with a fireplace, full kitchen and can accommodate 30 to 40 people. 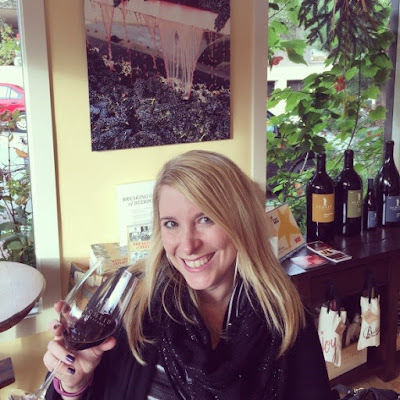 The Carmel Wine Walk by-the-Sea – this was definitely one of my favorite parts of our trip. My husband and I love wine and we especially appreciate learning about new wines. You can purchase a wine “passport” at the Chamber of Commerce (or through the Hofsas House), which gives you the opportunity to leisurely stroll through town on a self-paced wine tasting tour. With this passport, you can choose nine wine tasting rooms (out of 14) within the 1 x 1 square mile of Carmel-by-the-Sea. We visited a handful of tasting rooms and would have visited more if we had more time! We absolutely loved several of them including Scheid, Alexander Smith and Wrath. We tasted some delicious wines, many of which were Pinot Noirs, and made some new friends along the way as well. We even discovered one of the best places to buy cheese ever—The Cheese Shop, which is next door to Wrath (very convenient). They offered us sample after sample when we walked through the door. The staff was so friendly, the cheese was insanely good and they even have a monthly cheese club that we’re thinking of joining in on. Picnic and 17-Mile Drive – we picked up a picnic at the 5th Avenue Deli, which is an incredible little deli that offers breakfast, lunch and dinner offerings such as quiches, breakfast burritos, sandwiches, salads, sweets (I had carrot cake) and even tamales (which we loved). We packed up our little feast and took it with us on the breathtaking, picturesque 17-Mile Drive. 17-Mile Drive is widely recognized as one of the most scenic drives in the world. This famous route winds through Pacific Grove to Pebble Beach, from the sparkling Pacific coastline to the majestic Del Monte Forest. We took several stops along the way to take some photos and enjoy our food while looking at crashing waves and blue skies. You can also see the emerald fairways of The Links at Spanish Bay, Spyglass Hill and the world-renowned Pebble Beach Golf Links. We stopped at Pebble Beach, got some souvenirs and a Sprite (as I was getting a little carsick—winding roads are a challenge for me). 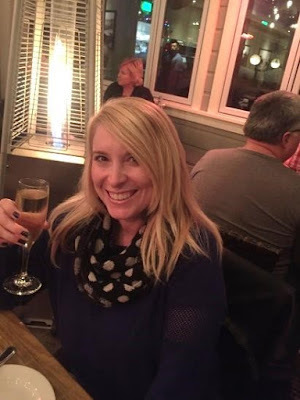 Dinner at The Beach House—this was a great evening for us. We were invited to enjoy dinner at The Beach House, which is located in Pacific Grove, right on the water. This romantic restaurant has amazing panoramic views, casual California cuisine and a heated outdoor patio. We had a drink at the bar first, and then enjoyed a lovely dinner on the patio. I happily sipped my champagne looking out the water and thinking how I never wanted to leave Carmel! Our meal started with seared Yellowfin Tuna appetizer that we shared, followed by the Filet Mignon Stroganoff for me and the Linguine with Clams and Roasted Garlic Olive Oil for my husband. 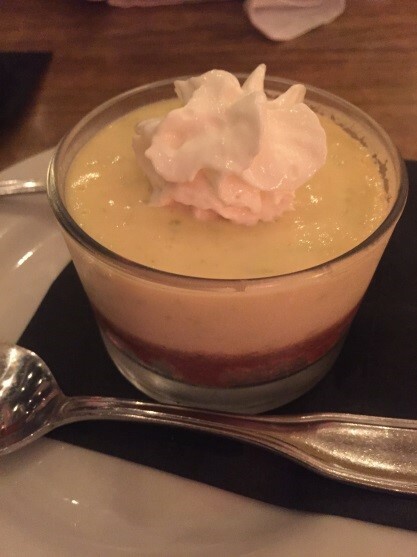 We finished our meal with the Key Lime Pie dessert, which was the absolute perfect way to end this excellent and truly memorable meal. There are certainly many, many options to stay entertained and busy in Carmel, but those are just some of the highlights of our little getaway. Everything started off on the right foot with our lovely welcome at Hofsas House and ended with continental breakfast (included with your stay) in the hotel lobby prior to taking off for our drive back to reality. Disclosure: Kristine S. received a complimentary stay at Hofsas House along with free meal passes and wine tastings for this travel feature and review. No monetary compensation was received. All opinions, thoughts and words are 100% Kristine's own, unbiased opinions on the services that she received. Your opinions may differ. The Hofsas House and the town of Carmel by the sea sound so lovely that I wish we could travel there right now. Your dinner at The Beach House was amazing. As you stated one could spend a lot of,time touring and seeing so much more.